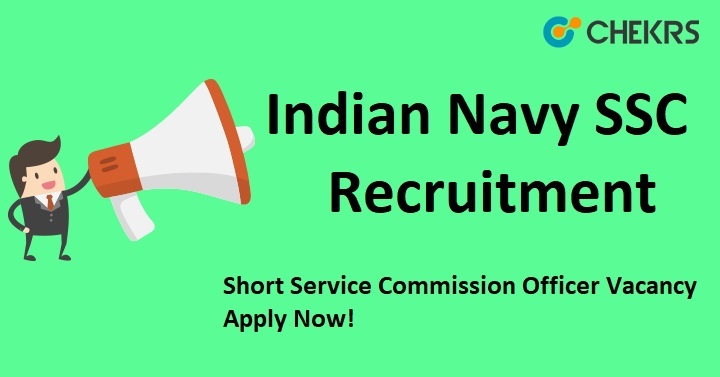 Indian Navy SSC Recruitment 2019: Indian Navy has released the notification for unmarried male and female candidates for the recruitment of Short Service Commission (SSC) Officer as Pilot/ Observer/ Air Traffic Controller Vacancies. Therefore Eligible candidates who wish to excel their career in Government Jobs may apply for Indian Navy SSC Recruitment 2019 through the online process before the last date. Applicants before applying the recruitment notification form can download the advertisement pdf, check terms and conditions carefully. Indian Navy SSC selection process is the basis of candidate Academic Performance. In regards to other details like application dates, age limit, educational qualification, application procedure, post wise vacancy, selection process, pay scale check details below. Educational Qualification: B.E./ B.Tech with the minimum passing marks from recognized institute/university. Log on to the official website joinindiannavy.gov.in. Upload scanned a photograph, Signature, and all relevant documents. Save and take the printout of online application for future use. The merit list of Indian Navy Short Service Commission (SSC) post will release on the official web page. Candidates who have applied the application form can check the Merit List of Indian Navy SSC through the Join Indian Navy official website. The recruitment merit list pdf file will publish within one month. Candidates will get the intimation message about the merit list release date on the registered mobile number. Applicants who will select the Navy SSC Merit List are shortlisted for the documents verification process. Remarks: We will provide you upcoming notification of Indian Navy SSC Recruitment 2019, Indian Navy Latest jobs, Indian Navy jobs for Engineers along with Indian Navy Upcoming vacancies. In terms of any query or review, we welcome your valuable comments in the commenting section below and we will get in touch with you shortly.